1/8" (#30) Standard Spring Cleco - MADE IN USA! 3/32" (#40) Standard Spring Cleco - MADE IN USA! 5/32" (#20 / #21) Standard Spring Cleco - MADE IN USA! $35 SURPLUS GRAB BOX !!! - Contains at least 20 items - Limited Time Offer! 4 Piece Dimple Die Kit - 3/32", 1/8", 5/32", & 3/16" - Storage Box Included! SIOUX 90 Degree Threaded Drill Motor - COMPARE OUR PRICE ANYWHERE! Composite Tap Hammer - Hard-to-Find Tool - We have them IN STOCK! 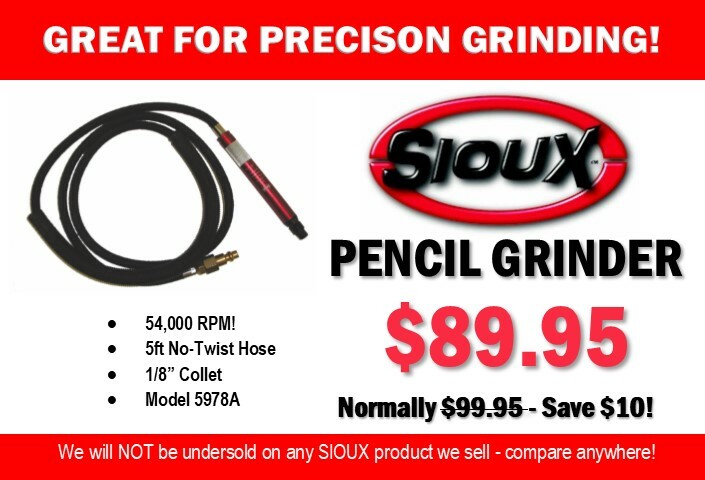 SIOUX™ SIGNATURE SERIES STRAIGHT DIE GRINDER - 25,000rpm / 1/3 HP - MADE IN THE USA! 6 Piece JUMBO Countersink Cage & Cutter Kit - 3/8-24 Threads (Cage with 5 Cutters) For LARGE Fasteners! Heavy Duty No-Mar Skin Wedge - Made in the USA! SIOUX Mini Palm Drill - 2600 RPM (Made in the USA!) - Compare our price ANYWHERE! WILLIAMS / Snap-On Industrial Brands Magnetic Ratcheting Screwdriver - Made in the USA! Metal MINA-VAC Air Operated Vacuum- HEAVY-DUTY - Made in the USA! 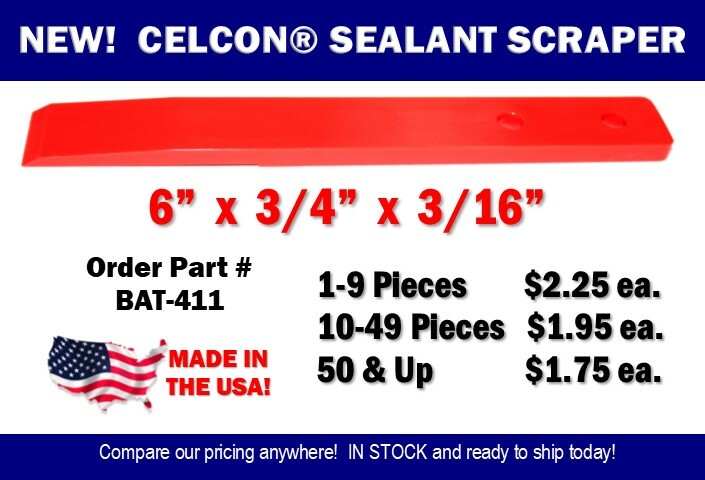 8 PC set of Heavy Duty Sealant Scrapers - Made in the USA! 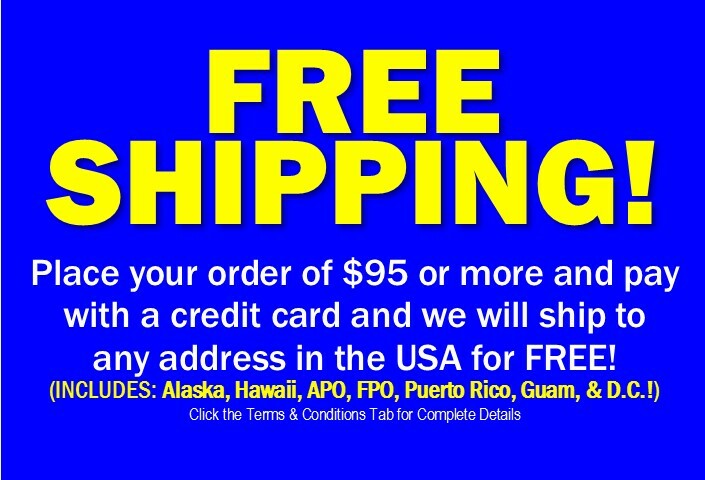 All Metal Drill Gage - #1-60 - MADE IN THE USA! 19 Piece Rivet Squeezer Kit with Fitted Storage Box - Made in the USA! Standard ROTACUT Hole Cutting Kit - The Original! 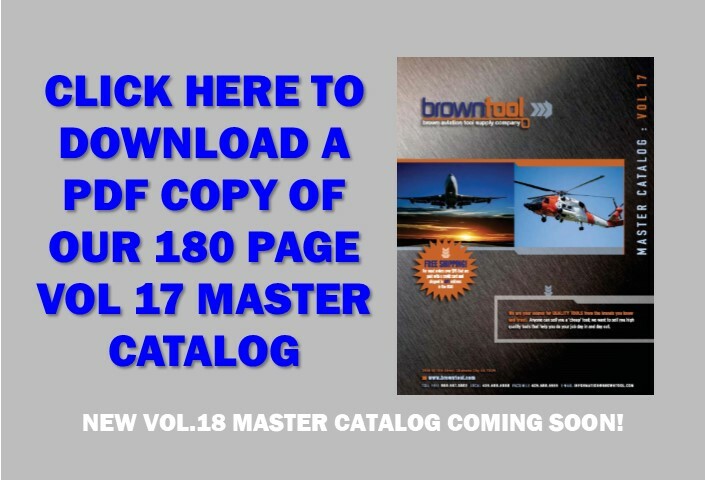 Includes 7 Cutters - MADE IN USA! KNIPEX Connector Plug / Cannon Plug Pliers - NEW PRODUCT! 12 Piece Economy Hand Rivet Squeezer Kit - with TWO Yokes! SIOUX 45 Degree Threaded Drill Motor - COMPARE OUR PRICE ANYWHERE! 10 Piece HOLE FINDER KIT - Buy both the HFSET & HFSET-INV at one time and save even more! 8 Piece Carbide Burr Set - 1/4" Shank - With Storage Box - MADE IN THE USA! MILBAR Safetytwist Pliers - 6" Plier - MADE IN THE USA!